Not interested in Bedford ? Please choose a different community. 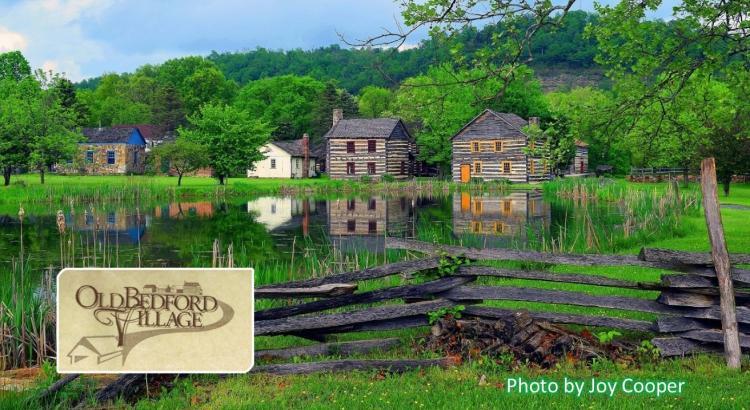 We invite you to join us for a weekend of interpretive living history, as we recreate the raising of Bedford County’s Co’s. D, E., & F., of the 138th Pennsylvania Volunteer Infantry Regiment. This event will feature a recruiting and training camp, using the U.S. Army Regulations of 1861 and the U.S. Army School of the Soldier tactics being demonstrated according to the original manuals. Camps will feature other U.S. Army departments and functions that would have existed during the time. Serving Maryland, Pennsylvania and West Virginia since 2004, we have a simple approach to advertising –MAKE IT COST EFFECTIVE, MAKE IT RESULTS EFFECTIVE, AND KEEP IT SIMPLE! • TARGET YOUR CUSTOMERS. Town Planner reaches homes within your prime market areas. We do not waste your dollars on prospects who may be to far away. Choose from just your community, and/or select other communities that fit your businesses needs. • STAYING POWER. 87% of local area households hang up and use the Town Planner. And your message is on display all day-every day! Not seconds of radio, or minutes that a newspaper or magazine are open, but year long shelf life! • GOODWILL MARKETING. Advertisers in the Town Planner benefit from the goodwill that is received from providing the community with a useful gift that they love to receive, hang up, and use! And make no mistake; this goodwill translates to not only strengthening one’s community, but increased sales and profits for participating businesses. • USEFUL AND APPRECIATED VENUE. When was the last time someone thanked you for advertising? The Town Planner is not only extremely useful because it is a calendar, but appreciated and used because of the local events and school schedules, and money saving offers. Our advertisers and sponsors are appreciated for bringing the Town Planner to their respective communities. • OPTIONS, OPTIONS, OPTIONS. We offer you options to participate monthly, every other month or quarterly, and we do not limit you to ad type. We have coupons, displays, billboards, photo sponsorships, inserts and more. • WE ARE ALSO DIGITAL! We not only offer a great print product with incredible staying power and shelf life, but we complement it with a web site designed specifically for your community. And we support it (and you) with an award winning e-newsletter, mobile app and social media complements.! • RESULTS. The Town Planner works; plain and simple. But hey, don’t take our word for it. Visit our testimonial section, and see what neighboring and national businesses have to say about their experience with the Town Planner.